Introducing... the Mobile Programmatic Video Buyer’s Guide! Innovid has been collaborating with the MMA and a number of in-app mobile video inventory providers to help demystify mobile in-app for agencies and advertisers, and we are happy to see those efforts coming to fruition after several months of work. This initiative will result in two documents. The Mobile Programmatic Video Buyers Guide has just been released by the MMA, and is now live on their website. This spreadsheet is intended to act as a centralized resource for buyers who are interested in extending their reach by using mobile in-app inventory, but are having a tough time understanding what capabilities are available from different providers. We hope to see more participants join the companies below in the effort, and we also hope that agencies and advertiser will both use the resource and encourage relevant inventory sources to participate. The second resource, which we expect to be released later in November, is a companion whitepaper guide to effectively buying and running video in mobile programmatic inventory. Why is Innovid driving this initiative? What’s our stake in the game? Today, mobile accounts for nearly half of the video impressions we run, which is roughly in line with the overall percentage of video impressions delivered to mobile according to eMarketer (see chart below). 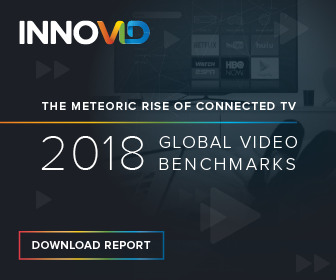 The problem is that while desktop settled on a single technical standard for delivering video impressions that fully support measurement and advanced creative (VPAID), mobile has yet to do so. To quote a contributor in eMarketer’s latest programmatic update, “Xiao Wei, Senior Director of Data Analytics at ad tech firm Xandr, noted that it’s especially difficult to buy video inventory in the open markets today, given the continued lack of standardization in player types and video formats.” This is true for mobile more so than desktop or even OTT, because of the wide variety of devices, screen sizes, placement types, and so on. So the problem is - how do we help to push the mobile ecosystem towards the same level of consistency as desktop, where anyone can run a VPAID tag and get full measurement and interactive and dynamic video features? For various technical reasons (see this infographic for more details), it’s not feasible to pressure all mobile inventory sources to adopt VPAID, which was designed before the ascent of mobile and OTT ad delivery. The measurement component is being handled by the introduction of a new standard - OMID, or in its in-app form, the OM SDK. We (and the IAB Tech Lab - see below) expect the interactive component to be handled by a combination of templatized VAST-delivered creative, like the HTML end cards that are starting to gain more market traction, and a forthcoming revision to VPAID. Unfortunately, support for these new measurement and advanced creative capabilities in VAST inventory is 100% reliant on the publisher, or in the case of mobile in-app, on the inventory provider who manages the SDK that provides advertising monetization services to the millions of individual apps across the mobile ecosystem. From an agency or advertiser perspective, it becomes very challenging to understand where these capabilities are already present, and where they are still rolling out, especially because they are not necessarily even used to being in touch with inventory providers directly, who typically sit behind a DSP, or multiple DSPs and a trading desk. The Mobile Programmatic Video Buyer’s Guide was conceived as a way to help buyers understand where they can get these capabilities at any given point in time, and also to help nudge the inventory providers towards standardization by putting all capabilities on display in a single place. We are clearly very dependent on our agency and advertiser clients to help push for more standardization to help make it happen, by supporting our efforts to get all the information in one place, and then to push inventory partners to support standardized measurement and at least some standardized creative beyond just preroll. If you’re any agency or advertiser, we hope you will join us on this mission to make mobile video buying, measurement and advanced creative easier to execute by using the Mobile Programmatic Video Buyer’s Guide and encouraging your inventory partners and prospective inventory partners to participate.